Indian weddings are an epitome of elaborate rituals but not without a touch of all things Haute and designer wear! Especially for the bride-to-be! The wedding day is the most memorable one for the bride. Hence, the wedding dress must not be anywhere ordinary rather it must stand out from every design ever seen. 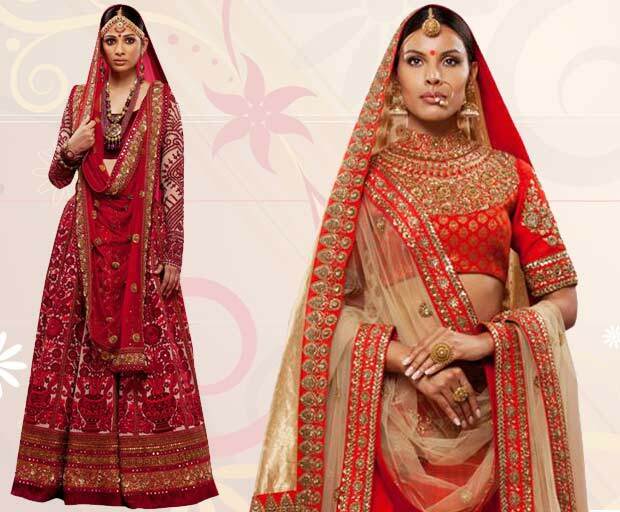 For every bride, the wedding dress/bridal lehenga is her most coveted possession. And the Indian bride wants more when it comes to picking her attire for the D-day. While everything else is taken care by the parents and close friends, the wedding day lehenga is hand-picked by the bride. She has no qualms searching the best wedding attire to flaunt her style. Designer wear lehengas are much in vogue these days. Various Indian designers have carved a niche in bridal lehengas. Designer Sabyasachi Mukherjee, the guru of the Indian bridal fashion, is the dream couturier for many brides-to-be. Sabyasachi is not just a name but a brand now. He is a designer of modern times but prefers to stay traditional on occasions like weddings. His collection lends a sense of Indian culture so that a bride looks her traditional best on a special day. The Bengal lad’s work is associated with ethnicity and tradition in the fashion industry. His work speaks volumes of his love for fabric, textures, cut, innovative designs and above all, his understanding of art, which is extremely important the industry. Sabyasachi’s wedding lehengas make great Indian wedding dresses with dazzling and shimmering embellishments as well as rich embroidery work. His designs are seen to have understated colors that are brought out alive by highly intricate and detailed embroidery. You find an amalgamation of black, gold and red colours in his collection. All his collection is characterised by elegance, royalty and sophistication. While the season of winter is soon to come, so will be the weddings And we bring to you best of the bestest Sabyasachi lehengas for the winter weddings this time. Here were some of the best of the bestest Sabyasachi lehengas seen or to choose from for your D-Day. As a bride-to-be, you deserve to look the best on your wedding. You should certainly try Sabyasachi lehengas. 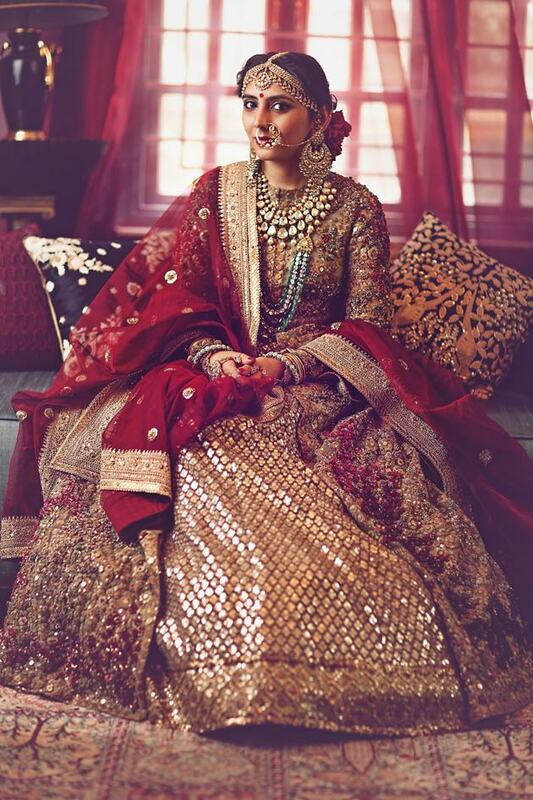 Don’t you feel like taking your wedding vows right away to see all these dazzling Sabyasachi lehenga!